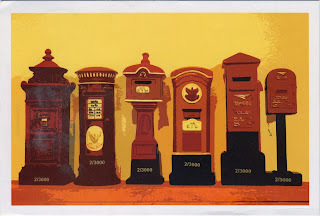 Postcard TH-150353 shows various mail boxes used in Thailand over time, from the oldest on the left to the two currently-used ones on the right. Thailand has a relatively short postal history. Great Britain started to operate the British Consular Post Office in Bangkok 1858. Thailand Post Co., Ltd. was established in 1883 to provides postal services. The first stamp was issued in Siam on August 4, 1883. 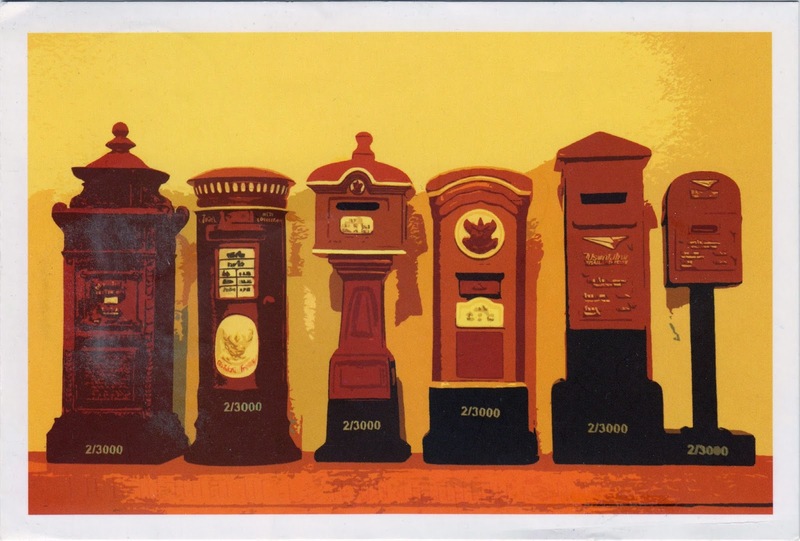 Siam joined the Universal Postal Union on July 1, 1885 and started to provide its own international postal service. The British Consular Post Office ceased operation the same day. Nowadays, there are post mailboxes on almost every street in Bangkok. You will see more of the larger ones than the smaller ones. However, I was told that for international mails you would still need to visit a post office.